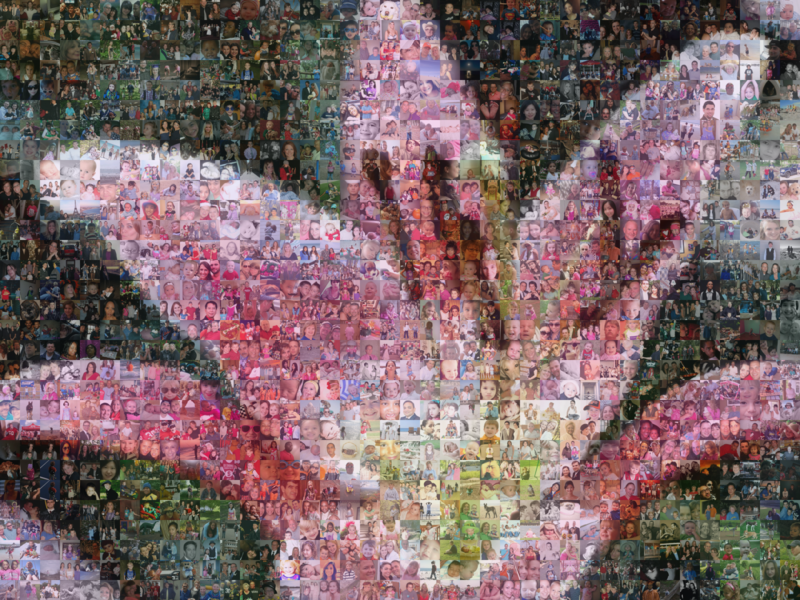 With the release of our Online Mosaic Tool, we gave the users a sizable amount of power when creating their own photo mosaics. But as we all know: with great power comes great responsibility! 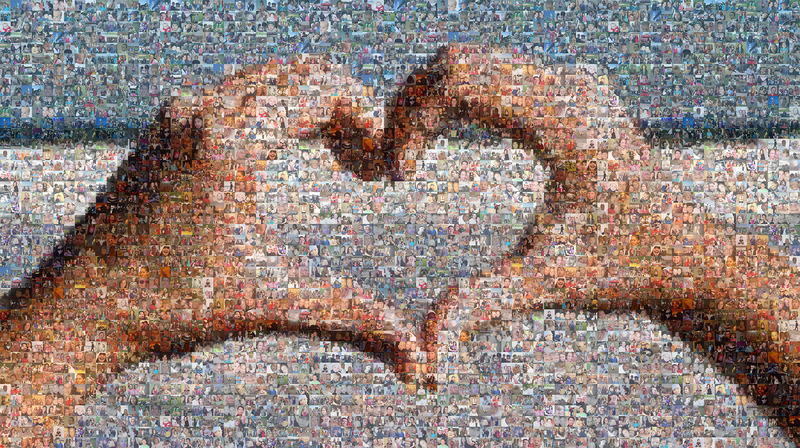 True photo mosaic design isn’t something that just happens. It requires plenty of practice and a keen attention to detail. Throughout the years, we’ve seen a number of mosaic shortcuts that result in cheap, false photo mosaics. A number of factors go into the process of creating a mosaic, but I’m going to focus on the top three DON’Ts of photo mosaic design. This entry was posted in Mosaic advice, Mosaics, Online Mosaic Tool, Photo Mosaics and tagged donts, guide, photo mosaics, picture mosaics, tips on August 28, 2015 by Robert DeCarolis. One of the most important components of a photo mosaic is the source image. A source image is the bigger picture that the smaller photos (called “cells”) will create. 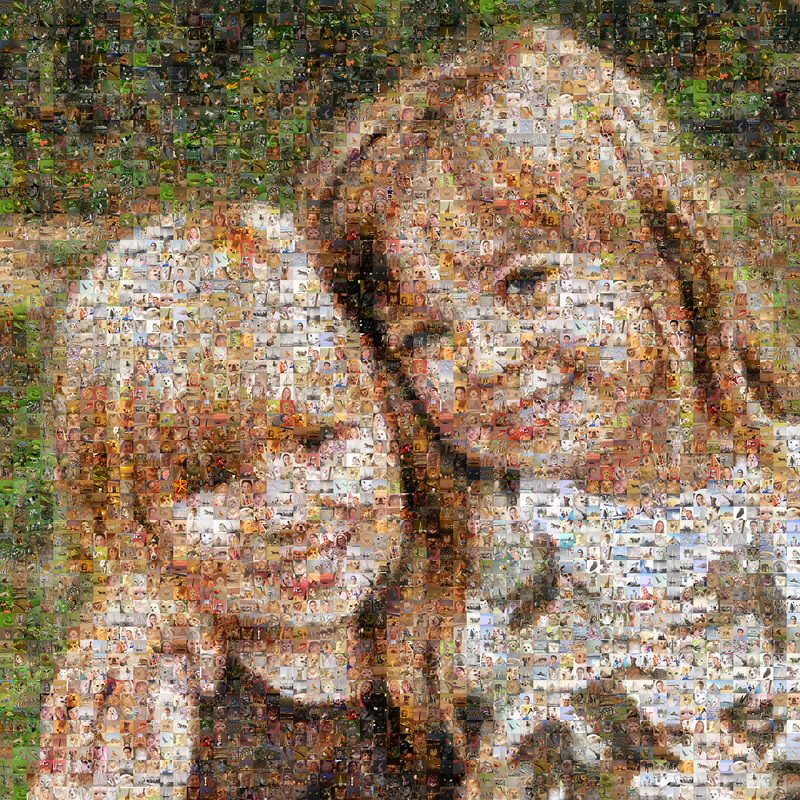 Any photo can be used as a source image, but not just any photo will the completed photo mosaic that WOW factor. The real question is how well the photo will survive the mosaic transformation. For this post, I’ll be focusing on portrait photos. Landscapes, logos, and other non-human subjects will be addressed in future posts, so stay tuned! This entry was posted in Art, Mosaic advice, Mosaics, Photo Mosaics, Photography and tagged guidelines, mosaic advice, mosaic tips, mosaics, photo mosaic, photo mosaic creation, photo mosaics, photomosaic, photomosaics, picture mosaics, source image on May 22, 2014 by Robert DeCarolis.